Note that the pictures shown are illustrative only and may not be the actual stamp(s) you receive though they will be of the same quality. 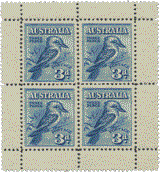 Prices shown in the listings are generally for mounted (hinged) mint stamps between 1913 and 1965 and for unmounted (never hinged) mint stamps from 1966 to date. Click on individual items for a full range of prices for different conditions including used.